Inner Civilization: A New Enlightenment? Europeans call the eighteenth century the age of enlightenment because it was both a culmination and a new beginning. Fresh currents of thought were wearing down institutionalized traditions. New ideas and new approaches to old institutions were setting the stage for great revolutions to come. It was an age of reason based on faith, not an age of faith based on reason. The enlightenment spiritualized the principle of religious authority, humanized theological systems, and emancipated individuals from physical coercion. 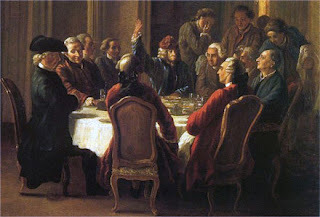 It was the Enlightenment, not the Reformation or the Renaissance that dislodged the ecclesiastical establishment from central control of cultural and intellectual life by emancipating science from the trammels of theological tradition the Enlightenment rendered possible the autonomous evolution of modern culture. Scholars and intellects gained prestige in Western society because they helped topple the twin tyrannical powers of the Church and the Crown. They exhibited bold and courageous thinking--won at such a great personal cost--to allow their successors a level of independence never before known on the European contitnent. Ironically, three hundred years later academia appears to hold an authoritarian sway over current scholars, especially those of African descent in America. Do we need a new enlightenment? 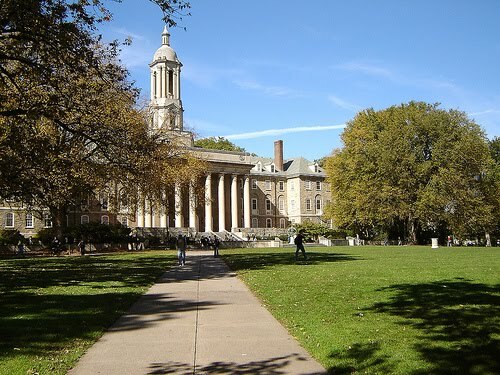 Institutions of higher education are supposed to be the place where the free market place of ideas takes hold. In fact, the basis for tenure has always been that academics should not be punished for speaking out. The theory is that such speaking out is protected even when university administration does not agree with the content of that speech. However, these same institutions are also political fiefdoms where tenure has been used and will continue to be used to punish those with whom the members of the promotion and tenure committee do not agree. In other words, academic freedom is only free when one agrees with those in power. All junior faculty understand very quickly that the definition of “scholarship” is a moving target and that if they wish tenure, they better move with the target. The hypocrisy of the promotion and tenure process (and I use the word process lightly) is that too many faculty are more about politics and less about scholarship. So, they play the game to get tenure and then when some of them get it, they punish the ideas of others they find unpopular by denying them tenure. Progressive Black scholars find ourselves in a particular pickle. On the one hand, we want to advance ideas that look critically at the academy and simply not accept the status quo. On the other, if we are too progressive, then we will be Boyced. That is, we will be fired from predominately white institutions that will reduce our entire scholarly career to a warm bucket of spit. Of course I am not suggesting that all predominately white institutions will Boyce progressive Black scholars. I am suggesting that too many can and do.First, regardless of whether one agrees with Dr. Watkins’ views or not, one cannot in good faith question his credential or his scholarship. One can disagree with it, one can dislike it, one can criticize but one cannot question its rigor, funny, I thought that this is what academic freedom is about. In fact, Syracuse University believed him to be of sufficient scholastic heft to hire him on tenure track in the first place. So, did he suddenly become a less than mediocre scholar after he joined the faculty? 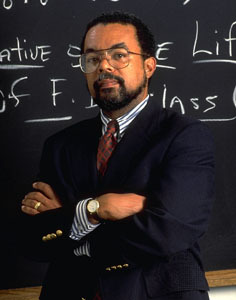 Of course not, in fact, an objective reading of his work suggests that he is a scholar who pushes his knowledge to a public that is very much outside “the ivory tower.” Perhaps the problem is that those judging scholarship should realize that scholarship as well as its consumption is evolving and that progressive black scholars such as Dr. Watkins must, if we are to be true to our mission, bring the scholarship to many who may never step foot on our campuses.Second, it is not an understatement to say that Black male scholars do not dominate the ranks of predominately white institutions. It is also not an understatement to say that progressive Black scholars are in the numerical and scholastic minority at these same institutions. Christopher J. Metzler, PhD is Associate Dean of Human Resources for the Masters of Professional Studies at Georgetown University in Washington, D.C. 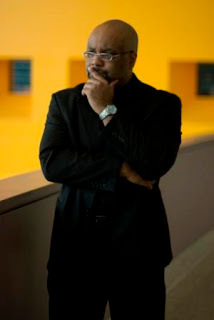 Prior to joining Georgetown University, he was on the faculty at Cornell University's ILR School where he directed the EEO and Diversity Studies program. This issue is what introduced me to Dr. Watkins. I now subscribe to his blog as well as to his Facebook page. The brother is very smart but most of all seemingly very honest and open with who he is and what he stands for. I bet they Boyce most progressive scholars, with an emphasis on Black ones. The more unlike oneself someone else is, the more willing we are to do him dirt. And cleansing the academy of leftist is the next great project of the great Right wing propaganda machine, so that is going to be an ongoing problem.